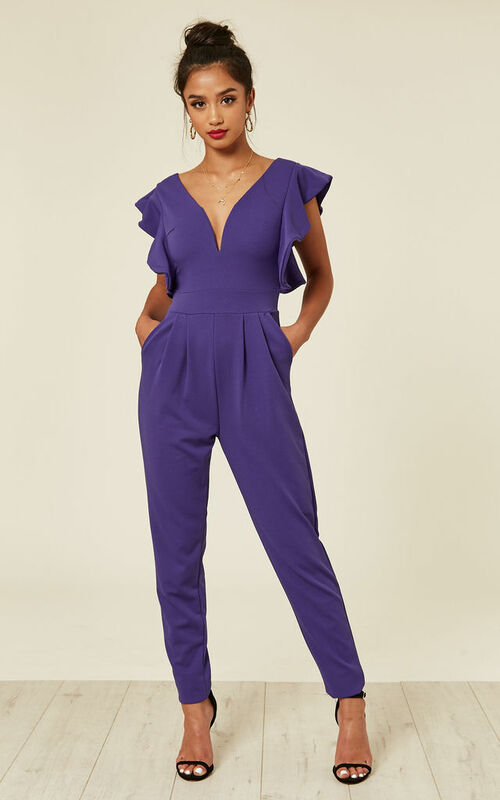 The ideal jumpsuit for all you daring ladies who aren't afraid to experiment with style! Features a low V plunging neckline and low back for some serious sexiness! Beautiful ruffle detailing on the sleeves to add a little drama to the jumpsuit. Ideal for casual and fancy nights out.